Employ My Ability is based at The Walled Garden, Moreton: Our unique environment hosts hospitality, horticultural and retail facilities that help students with learning disabilities and Special Educational Needs & Disabilities (SEND) develop vital skills, expertise and confidence. We offer strong vocational qualifications alongside real, hands-on work experience which enables our students to leave us with a clear pathway into employment within the local community. At Employ My Ability we offer qualifications in horticulture, catering (hospitality) and retail skills, operating from Entry Levels 1, 2 & 3 and Level 1 & 2. We operate during industry relevant hours 9-4.30 over a 50-week yearly timetable to ensure students are prepared for future employment. Why choose Employ My Ability? Every student will gain valuable on the job training, in a safe and secure environment helping them to build confidence and acquire real life skills, making the transition to the industry world less stressful. Our exquisite learning paradise is a relaxed and open formal and working walled garden with our Garden Shop and Plant Nursery open to the public. 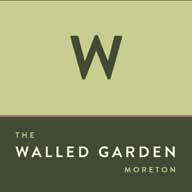 The Walled Garden is a vital part of the Employ My Ability experience and is also a venue for wedding and party functions, giving extra real life hospitality industry training. Our Cafe operates on the site of the The Walled Garden and is a fully functioning business open to the public, giving students excellent on the job training that creates industry relevant experiences. Work and school are only part of the experience we provide here at Employ My Ability. Students will spend time learning social skills and interacting with activities situated in our Walled Gardens and excursions out into our local communities.